CARVELL, JEDEDIAH SLASON, businessman, politician, and office holder; b. 16 March 1832 in Newcastle, N.B., son of Jacob Carvell and Isabella Henderson; m. 19 June 1861 Alice Caroline Hanford in Saint John, and they had three sons; d. 14 Feb. 1894 in Charlottetown. Jedediah Slason Carvell was born into an old loyalist family of Dutch origin. Following his education in Saint John and at the Fredericton Collegiate School, he went to live in Australia. Returning to North America in 1855, he resided in California, in Portland, Ore., where he was engaged in the lumber business, and then in New Brunswick, where he worked with contractors building the European and North American Railway. In 1860 he moved to Charlottetown and became a general merchant. Carvell’s marriage the following year to a niece of Samuel Leonard Tilley cemented his links with what was to become the pro-confederation faction in New Brunswick. Similarly, his circle of associates on Prince Edward Island came to include William Henry Pope*, James Colledge Pope*, Robert Hodgson*, and others who advocated union with the Canadas. His Island contacts were normal by-products of his burgeoning import and export business, Carvell Brothers, which he managed with the intermittent assistance of his brothers Jacob and Lewis. Although export of oats to England constituted the largest portion of the business in the 1860s, the firm also acted as retail merchants, auctioneers, and shipping agents. 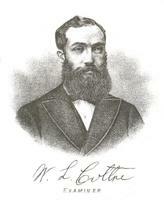 The Carvells were recognized by the reporter for R. G. Dun and Company in 1867 as “respectable, steady, temperate, shrewd businessmen,” by which time they were acknowledged as the largest commodity exporter on the Island, doing “an immense business for this place.” In 1871 J. C. Pope, speaking as an entrepreneur in Summerside, P.E.I, claimed that his annual transactions with the Carvell firm exceeded the entire colonial revenue in value. 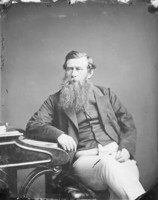 Involvement in the export trade induced Carvell, and his newspaper, the Examiner, which he had acquired in his own right about 1869, to back demands for construction of a railway on the Island. Opponents accused him and others of forming a ring which sought personal gain from the venture. Carvell and his business did buy large tracts of land in Summerside and Georgetown, and one of his properties in Summerside was reported in the Patriot and the Island Argus to have been bought by the railway for $1,250 more than was paid for it and for an additional 20 acres just a few months previously. In addition to possible speculative gains, Carvell prospered in an expansionary economy fuelled by railway construction, high prices for farm products, and good demand in England for ships and shipping services. Carvell lent his support and the services of the Examiner to advocates of union with Canada and also to reform elements campaigning for improvements in social services. 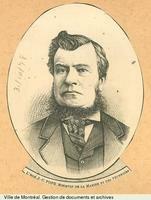 Divesting himself of the newspaper after confederation, on 1 July 1873, he maintained a public profile as foreman of a grand jury in Charlottetown which exposed abuses and neglect in the Lunatic Asylum, and as a reform mayor in 1877–78 when he corrected corrupt and inefficient accounting practices and proposed a series of environmental and administrative improvements in the city. The Prince Edward Island Hospital for the Insane (later Falconwood Hospital), opened in 1880, and improvements to Victoria Park testify to these efforts. Carvell’s personal fortunes waned in the late 1870s as a result of an economic downturn that undercut the Island’s business community in general. After selling his luxurious new home he realigned his business on a more modest scale and turned to his political friends for succour. Carvell’s appointment to the Senate on 18 Dec. 1879 for Kings County prompted a storm of protest. He did not reside in the area and was regarded by some Islanders as a complete outsider who had contributed little to public life while obtaining preferment through personal contacts. In an anonymous letter published in the Patriot of 8 Jan. 1880, one irate observer claimed that Carvell had “found the people of the Island free, prosperous and contented, and that he did his best to deprive them of their freedom, to take away their prosperity, and to make them discontented and unhappy.” A commentator writing in 1889 merely noted that criticism stemmed from a feeling that the legitimate claims of Kings County interests were overlooked in the appointment of someone from outside the county. 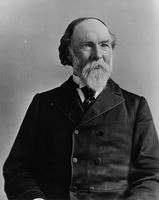 While in office Carvell became a major Island influence broker whose advice commanded the attention of Prime Minister Sir John A. Macdonald if not always his compliance. An example of Carvell’s effectiveness occurred when he moved to obstruct the campaign in 1884 of another Island politician, George William Howlan*, to replace Thomas Heath Haviland as its lieutenant governor. Howlan, Carvell believed, was guilty of political treachery and of defaulting on his business debts. 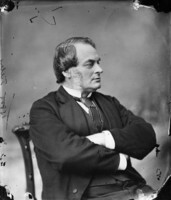 Although Howlan’s candidacy was backed by the Roman Catholic archbishop of Halifax, Cornelius O’Brien*, Carvell was able to secure instead the appointment of Andrew Archibald Macdonald*. 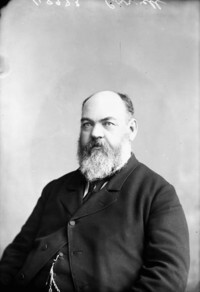 Carvell’s involvement in both politics and business in the 1880s was hampered by increasing ill health. He almost died in 1884 and 1886, and in 1889 illness, business concerns, and a sense that the moment was right for a move prompted him to relinquish his Senate post for the “miserable tumble down” gubernatorial mansion in Charlottetown. He resigned from the Senate on 3 July and was installed as lieutenant governor on 5 September. By this time Carvell’s affability and community ties made his appointment agreeable to most commentators. His ill health continued, however, and he died in office on 14 Feb. 1894. Howlan succeeded him as lieutenant governor. 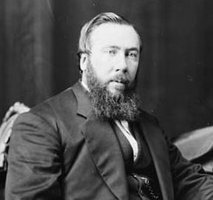 Although Carvell had withdrawn from his business in 1891, his personal fortune had been largely restored, and he left his wife and two surviving sons substantial legacies. Jedediah Slason Carvell was a man of considerable ambition, influence, and business ability whose fortunes reflected the ebb and flow of the local economy. He might have prospered even more than he did if he had been in a larger community, and he might also have avoided some of the suspicion that small places reserve for outsiders. He nevertheless chose Charlottetown, and Prince Edward Island was the better for it. [There is no single source which reveals a major portion of Carvell’s career. The W. H. Pope papers at NA, MG 27, I, F2, and the S. L. Tilley papers at NA, MG 27, I, D15, offer details of his non-political life, as does Baker Library, R. G. Dun & Co. credit ledger, Canada, 9: 393. The records of the United States consul in Charlottetown at National Arch. (Washington), RG 84, available on microfilm at the NA, explain something of the economic setting in which Carvell conducted his business. The papers of Sir John A. Macdonald, NA, MG 26, A, contain a considerable number of letters from or concerning Carvell following his appointment as a senator, and the Joseph Pope papers, NA, MG 30, E86, provide details on the rivalry between Carvell and Howlan. A major source for Carvell’s term as mayor is the records of the city of Charlottetown at PAPEI, RG 20, in particular the City Council minutes, vols.4–6. His probated will is in the Supreme Court of Prince Edward Island (Charlottetown), Estates Division, liber 13: ff.480–84, available on microfilm at the PAPEI. The appendices of the P.E.I, House of Assembly, Journal document the scandal concerning conditions at the Lunatic Asylum; of particular value are 1875, app.G, app.T; and 1876, app.G. Key phases of Carvell’s political life are covered in the Charlottetown newspapers, with the Patriot presenting a critical view and the Examiner a favourable one. Public discussion of his involvement with railway matters appears in the Patriot, 9 March 1871, 9 March 1872, and in the Island Argus, 1 Aug. 1871, 28 Jan., 4 Feb. 1873. Highlights of his civic career are documented in the Examiner, 7 Aug. 1871, 3, 6 Aug. 1877, the Argus, August 1873, and the Patriot, 9 Aug. 1877. Coverage of the controversy relating to his Senate appointment is found in the Daily Examiner, 19–23 Dec. 1879, the Patriot, 20 Dec. 1879, 3–24 Jan. 1880, and the Argus, 23 Dec. 1879–13 Jan. 1880, with the issues of 23 and 30 December offering a reasonably impartial analysis. Reaction to Carvell’s appointment as lieutenant governor can be found in the Daily Examiner, 12–18 July 1889, and the Patriot, 16 July–7 Sept. 1889. 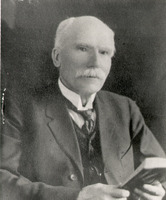 Peter E. Rider, “CARVELL, JEDEDIAH SLASON,” in Dictionary of Canadian Biography, vol. 12, University of Toronto/Université Laval, 2003–, accessed April 26, 2019, http://www.biographi.ca/en/bio/carvell_jedediah_slason_12E.html.